Studies in Latin and/or Greek can be combined with the study of non-language papers as part of a student’s overall course load. You can study the ancient world through the medium of the two ancient languages, and/or examine the literature, philosophy, religion, history and art of the ancient world through translations of the original texts and through material culture. Courses in Latin and Greek are offered from Beginners’ to Advanced levels; knowledge of one or both ancient languages will greatly enhance students' understanding of all aspects of the Greco-Roman world. Follow the link in the box below to find out about the courses we offer. Contact the Classics Undergraduate Coordinator. The BA (Hons) year follows completion of the three-year BA degree and is in many ways the culmination of a course of study. It is indispensable for students considering further postgraduate academic work and can also bring career benefits in non-academic areas. Many employers find it attractive and, in some professions, a postgraduate degree translates directly into higher salaries and prospects. A BA (Hons) year is both challenging and rewarding. Students will be working closely in a stimulating environment with both academic staff and each other. Students are normally required to have a Major in Classics with an average of B+ or above in 60 points of Classics at 300-level. If you have questions about your eligibility, please contact the Head of Classics. All students enrol in two compulsory courses: CLAS 460 Approaches to Classical Studies and CLAS 480 Honours Research Essay or Thesis (see below). In addition they will enrol in two other courses selected from CLAS 401-452. Students may substitute up to two papers from other Honours programme with the approval of the Heads of Departments of both programmes. Students who are doing an Honours degree in another subject may, with the approval of the relevant programme coordinators, undertake a paper from the Classics range as part of their Honours degree. A key component of the BA (Hons) year is the completion of a 10,000 word thesis or research essay on a topic of the student’s choice (made in conjunction with their supervisor) in addition to three other papers. Students should think of a topic or general area that interests them and identify a staff member who would be most suitable as a supervisor - i.e. someone likely to bring out the best in their work. Prospective supervisors should give advice on how viable the chosen topic is. Topics should be settled by the end of March in the year of enrolment, after consultation with the staff member involved in supervision. While the topic should be manageable within the confines of a 10,000 word thesis, it is, of course, possible to combine various areas of the ancient world: e.g. you might wish to look at aspects of art and myth, literary influences on historical writings, philosophy and poetry, gender in literature or art, etc. Students will also have the option of working with items from the James Logie Memorial Collection (now housed in the Teece Museum) or, possibly, on a Digital Humanities project, or on objects from the Canterbury Museum. Identification of key issues relating to the study of the Graeco-Roman world. Ability to choose relevant approaches and secondary sources that may help resolve these problems. Contextualisation of primary sources relevant to the issues under observation. Critical evaluation of information encoded in primary sources including style, vocabulary and genre. Evaluation of potential/drawbacks inherent in approaches specific to the discipline (philology, ancient literary theory, ancient historiography, archaeology) and in the application of modern theories (sociological, archaeological, cultural and historical). Clear formulation of problems in addressing specific issues. Formulation and evaluation of one’s own approach and claims. Keen ability to draw information from the internet and evaluate its quality. Self-confident and articulate approach to the presentation of issues and possible resolutions. Research skills: the ability to locate information pertaining to a research question or problem, read it, comprehend it, and interpret its relevance for the issue under study. Observation skills: the ability to identify and interpret information from non-verbal or non-literary sources. Critical and analytical skills: the ability to analyse and evaluate data and other information in terms of quality, content and relevance to the research question or problem. Synthetic skills: the ability to recombine important information from a range of sources in order to answer the research question or solve the problem. Writing skills: the ability to communicate research findings in clear, grammatically correct prose suitable for the intended audience. Time-management skills: working to a strict deadline and word limit. Part I is the same as for a BA (Hons.) in Classics; Part II is a thesis (CLAS 690). Pre-requisites: The prerequisites for entry to Part I of the M.A. in Classics are the same as for a BA (Hons) in Classics. (iii) 2 years of Greek and one year of Latin with a mark of B+ or above (i.e. CLAS 235 Intermediate Greek and CLAS 145 Beginners’ Latin). It may be necessary for such students to undertake a qualifying year in order to complete these requirements. Anyone interested in the possibility of enrolling, or uncertain about their eligibility for enrolment, should contact the Classics Head of Department, or the Arts Student Advisors. Admission to PhD study requires at least BA (Honours) in Classics or Ancient History. Candidates must be well-versed in ancient languages and have a reading knowledge of at least one modern language (such as German or French). In certain circumstances, individuals whose academic work to date has been in a related subject area (for example, in Art History), may be considered for enrolment in the degree of Doctor of Philosophy. For regulations concerning minimum and maximum periods of enrolment and other degree regulations, see the general provisions for the degree of Doctor of Philosophy (PhD) listed in the University Calendar. If you're interested in enrolling, or uncertain about your eligibility for enrolment, please contact the Classics Postgraduate Coordinator. Alabaster Scholarship. This undergraduate scholarship is awarded on the basis of an exam and essay on a classical topic. Value $2,250. Closing date 1 October. L G Pocock Prize in Classics. Value $300. Submissions should be made to the Classics Head of Department. Visit the Scholarships webpages to see all available undergraduate and postgraduate awards and funding opportunities. Though work in classical studies at school is a fine preparation for Classics at UC, there are no prerequisites for study at first-year level. The 100-level Greek and Latin courses are beginners' courses, so some students with previous experience of studying these languages may proceed directly to 200-level Greek and Latin. 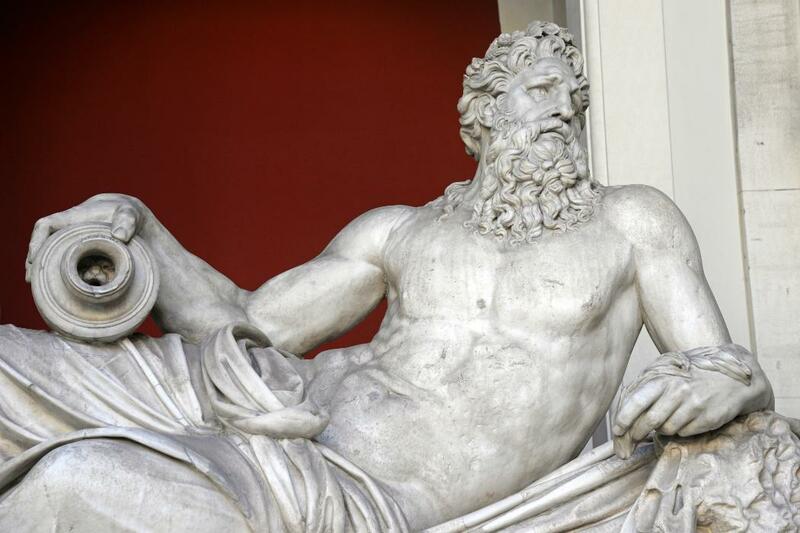 See the Course Information website for more details about studying Classics.